Today's guide will be on how to borrow airtime from Glo, Airtel and MTN Networks in Nigeria. Have you in any way run out of airtime when it is needed urgently and the location which you were, no recharge card is being sold there.Trust me you will be frustrated, and angry being on such situation. Don't worry in today's giude you will learn how to borrow airtime on whichever network listed above, you are using. Glo introduced a life saver as I termed it to be, As you can now borrow airtime whenever you run out of airtime in whichever location you are. To simply use the Borrowing Credit service from Glo Network having that your SIM is inserted on your mobile device, you should dial this code *321# and a pop up will come out, then select 2(Borrow Now) after that, choose the amount and you are good to go. The option for amount displayed determines how you do recharge, so if you are the type that do recharge higher, so will higher amount be presented for you to borrow from (vice versa). That's how it works. Note: 10% of your airtime will be deducted for service charge. MTN knows the mind of their subscribers, they knew that someday one or two persons would fallen in a situation where borrowing airtime will be the only option left at that particular moment. Then they strategize in introducing this one time service. The service that allows customers to borrow airtime when in need of it. To use this service, just dial *606#, a pop up showing many categories will show up, just select 2, then select the choice of airtime/credit needed at that particular moment. Note: MTN charges 5% out of the airtime you borrowed for the service rendered. ==>3. How To Borrow Airtime/Credit From Airtel Network. •If the SIM is eligible then, dial *665*Amount# or go by sending text message, which works by sending the amount you want to 665. 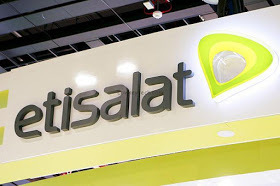 Note: Etisalat service fee rendered for the service is 10%, Applies to all customers.